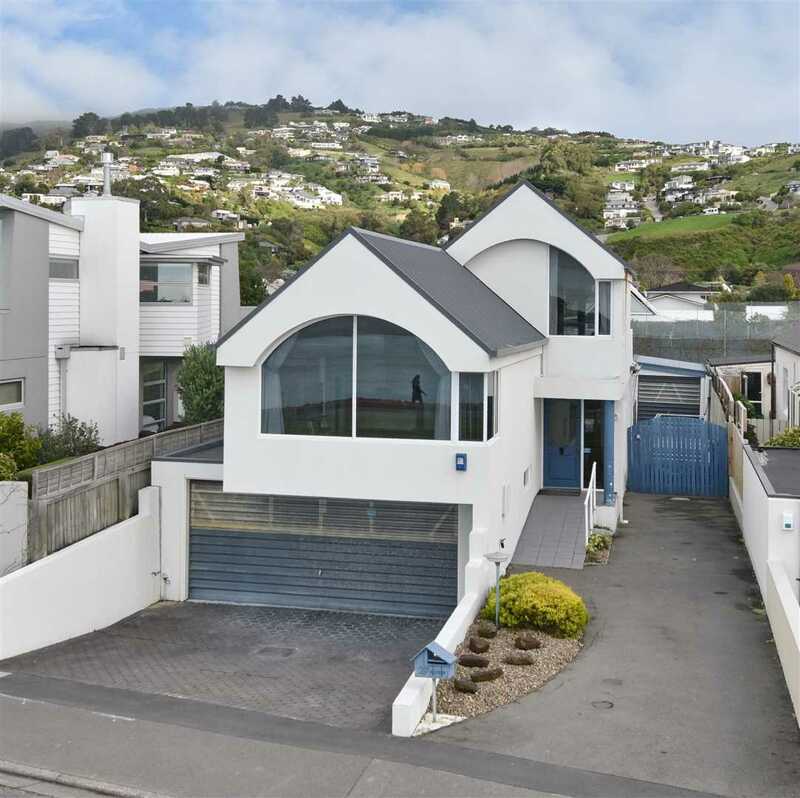 Located on the Redcliffs Riviera and enjoying unimpeded views of the sea and waterfront, this architecturally crafted two-bedroom property is surprisingly spacious and is being sold on an "as-is, where-is" uninsured basis. Designed by Colin McLaren and constructed in 1991, this home maximises its enviable waterfront position and is cleverly configured to allow for separation and privacy. The ground floor hosts the open plan living area which incorporates the kitchen, dining area and lounge, while a set of stairs leads you up to the formal lounge where a sizeable picture window draws attention to the breath-taking scenery out to the sea and shag rock. Two bathrooms suitably complement two bedrooms, one downstairs with the master occupying the top floor and enjoying an ensuite, three wardrobes and direct access out to the balcony which overlooks the local tennis courts. Contributing character and warmth to the interior are the oregon beams and the 40mm rimu tongue and groove ceiling; while a bevy of heating options including a heat pump and an HRV system provide comfort throughout the year. The dedicated laundry and a conservatory which extends out to the deck complete the lower level, and adding further appeal is secure parking which is offered by an internal access double garage and a separate, older single garage. The seaside location will capture the attention of many not only for its pretty sunrises and tranquil outlook but also for its closeness to the Redcliffs shopping facilities, coastal pathway, outdoor pursuits and Redcliffs Primary School returning in 2019. Act now. This is an affordable opportunity to get yourself into a desirable waterfront position!